Welcome to the website of Roddy Phillips, columnist, arts critic, author and creative writing tutor. Here you can find out more about Roddy’s creative writing workshops and his work. 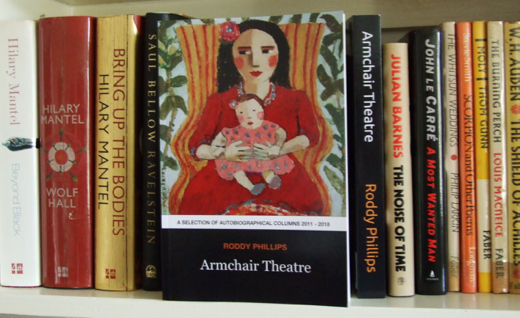 The latest collection of Roddy’s humorous newspaper and magazine columns is called Armchair Theatre and is available on amazon worldwide in both paperback and kindle format.